South Dakota had a Total of 96,227 concealed carry permits active at the end of November, 2016. PIERRE, SD (KELO AM) Permits issued for concealed carry firearms reached an all-time high in South Dakota in 2016. Secretary of State Shantel Krebs says there were 30,029 concealed carry permits issued, nearly 4,000 more than the previous record in 2013. The total regular, renewed, and enhanced permits issued up to at the end of November, in 2016, were 27,877. That indicates that 2,848 permits were issued or renewed in December of 2016. 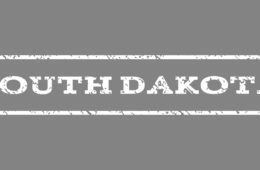 The capjournal.com notes that 3,879 were issued in January of 2016, and the Secretary of State for South Dakota informs us that at the end of that month there were 87,655 active permits. A rough approximation of the permits at the end of 2015 would subtract about half of those issued in January, to include renewals and permits that have expired. The estimate would be. 85,094 permits. That gives us a pretty good estimate for the increase in the first 11 months of 2016, which would be 96,227 – 85,725 or 10,551 about a 959 per month increase. Using the number of active regular and enhanced permits for the middle 10 months listed on the SoS page, the average increase is 862 permits a month. Using the more conservative figure, the total active permits for the end of 2016 is about 104,899. With that number, South Dakota is the state with the second highest percentage of concealed carry permits of the adult population in the United States. South Dakota has about 654,285 adults 18 or over. If that number holds (estimated for July, 2016), the percentage of adults in South Dakota with active concealed carry permits is slightly over 14.8 percent. In the middle of 2016, the honor of the highest percentage of concealed carry permits was held by Indiana, with 15% of the adult population. It is unknown if Indiana residents have stepped up to the plate and maintained their advantage. Both South Dakota and Indiana are considering bills that would allow for permitless or “constitutional” carry of concealed weapons. Indiana appears to have a good chance. In South Dakota the bill may well be blocked by a Republican headed committee.